The town of Gradil perches over folds of a valley laying sheltered from the Atlantic; you could forget the ocean lives just a mere 12 km away. Walking around the town, you pass the community’s igreja and a couple of cafés, where the morning coffee klatch sits nursing their various cortados and waits for the passing of time. 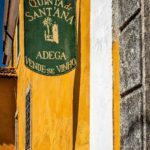 We arrive early for our first visit to Quinta de Sant’Ana, with enough time to walk the town’s streets, and that’s a good thing. As we’ll learn later in the day, the town stays very much engaged with the quinta living in its midst. We’ll also see it when we visit again, for the Festival da Nossa Terra after harvest is complete. 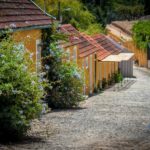 The origin story for the collection of bright turmeric-colored buildings near the top of one of the town’s hills takes a bit to unwind… The estate’s history weaves in with that of the town, having produced wine since its creation in 1633. Like many quintas in Portugal, the estate came into the hands of a king (Dom Luis) for his mistress (actress Rosa Damasceno) during the late 1800s–which explains the theater once built on the grounds for her. But it lay dormant when a German couple, Baron Gustav and Paula von Fürstenberg took ownership of it from 1969 to 1974, rebuilding the quinta as a new home for their family. 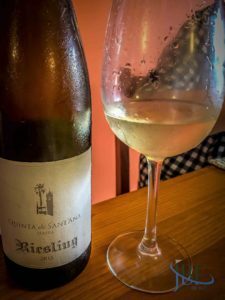 The von Fürstenberg imprint remains in the open attitude towards European grape varieties–including Riesling–that are vinified successfully elsewhere in Portugal, but take on a depth here that shows off the terroir. 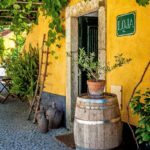 The current owners, James and Ann Frost, fell in love with Quinta de Sant’Ana, bringing the estate fully back into the family in 1992–Ann is the fourth child of von Fürstenberg’s seven. 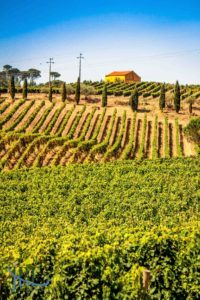 The family had left Portugal upon the Carnation Revolution in 1974, only spending summers there through the 1980s, and watching as the wine production drifted along. 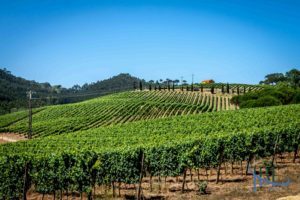 The effort to maintain the quinta’s 40 total hectares proved daunting, and the archaic equipment suited homestyle production rather than a commercial approach–most of the quinta’s grapes were sold to other producers. 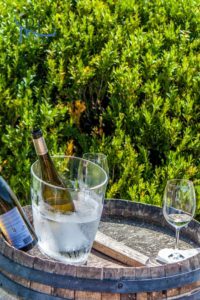 Now back at the helm, the Frosts have transformed the quinta from fallow fields into the jewel box of today, where weddings take place alongside serious winemaking. Indeed, pairing doves naturally find rest at the historic dovecote and in various greenery around the quinta–demonstrating the symbiotic relationship between the nature and enterprise inherent here. 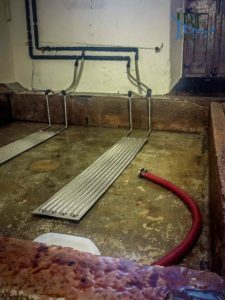 The Frosts have invested significantly in modern equipment while holding on to the traditional winemaking ways that still make sense. They brought on António Moita Maçanita as the consulting winemaker in 2004, and he has an exploratory plan for the estate. Drawing from the quinta’s 10 hectares of proprietary vineyards and their proximity to the ocean–but sheltered from the Atlantic’s worst by folds of valleys that concentrate the sun and also the mists–he seeks to show the grapes to their best effect in an elegant manner. 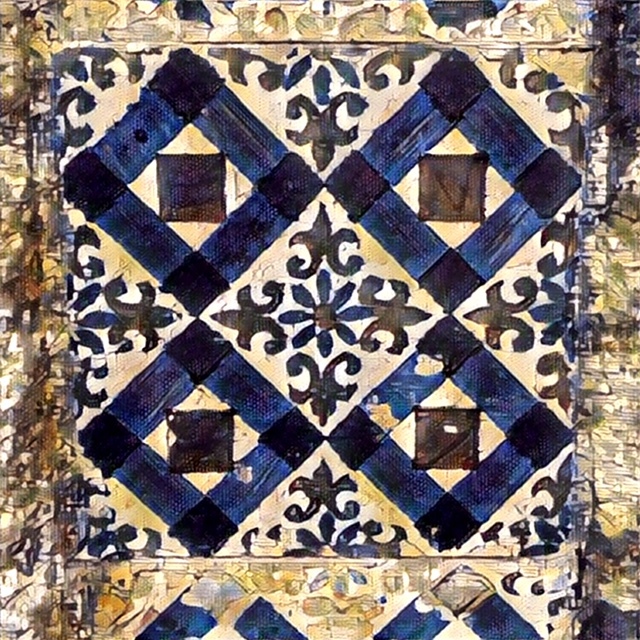 Maçanita’s experience in Bordeaux before returning to Portugal shows in both the style of the wine and the hand-made approach. A total of 11 grape varieties currently grow at the quinta. Our first visit in June 2017 was followed by one with family in August. During the two visits we tasted new wines and revisited a few worthy friends. We came in the midst of the quinta’s push to organic certification, expected in late 2018. As growers at all levels know, organic pursuit comes with challenges; in the summer of 2017, the quinta experienced a bit of mildew in its Verdelho plot, as well as some issues with the sections of Pinot Noir. On the positive side, the team had noted an abundance of wildflower diversity taking off after going through the organic process. The team considers going biodynamic at some point, but–one step at a time! The harvesting and vinification process reflects understanding of modern ways alongside preservation of key traditions. Case in point: Harvest takes place into shallow boxes, marking just a few minutes travel time from picking in the vineyard to the quinta’s environs. All red grapes are still foot trodden, except for the Pinot Noir. With help from the village, accustomed to pitching in at harvest time, it takes four hours to tread one of the lagares with 10 people. 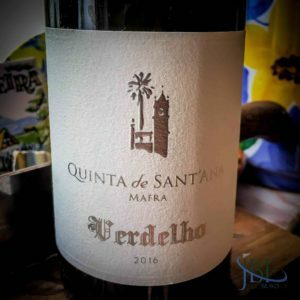 In the interest of utilizing every bit of the grapes, the quinta experimented with used grape skins from Fernão Pires to make a craft beer in 2017. They must have hit upon something good: The beer sold out before we could try it. We’re excited to return this summer to enjoy another season of fine wines. In the meantime, we have the notes from our two tastings to share with you. Overall a sense of salty minerality; lime blossom on the nose; kaffir lime on the palate. 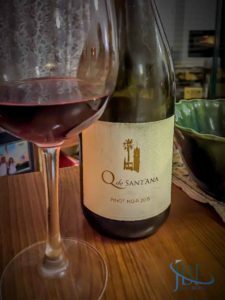 Branded as “Q de Sant’Ana” because the original grapes were not accepted into the VR; 30% whole bunch pressed; garnet color; thyme on the nose; lingonberries and earth on the palate. Venison and smoke on the nose; ripe strawberry on the palate; smooth softness overall; the oak comes through. Tannins up front with very little back end; lots of red fruits on the nose and palate. Violets and spice on the nose; blackberries on the palate; perfect tannins when tasted in 2017. Grows in a patch close to the quinta buildings in a tuck of the valley. Bright acidity with grapefruit peel on the nose; no petrol or other standard Riesling notes on this tasting (see second tasting notes below). You can taste a bit of the marine air. In Process-Pre-Release: Sugar still high on the back (after dosage). Release in 2018. Deep salmon color; bright red plum on the nose; high acidity, medium mousse on the palate. Oxidized must; the petrol nose now comes through. Crisp white peach palate; and the marine streak returns! A bit of battonage used in the process; aged in used barrels for 7-8 months. Whiff of honeydew melon on the nose; ripe peach and vanilla bean on the palate. A different whiff each time! 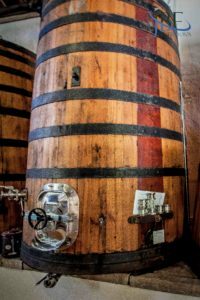 All French oak, 10 new barrels integrated each year for other wines (not PN). Pinot Noir goes into 7-year-old oak, not foot treaded. Garnet color with lilac on the nose; wet soils and black raspberry on the palate plus a flinty streak. Special grapes are ribboned off for this blend, with 18 months in new and second-year barrels. Fresh dark fruit throughout, with za’atar spice on the nose; red plum, currants on the palate, and light to medium tannins. Light violets and hint of tar on the nose, with a hint of garam masala as well. Blackberries and prominent tannins on the palate. 100% noble rot with nine months in barrel for auschelese style. Apricots with a mushroom floor on the nose; warm honey on the palate. The acidity makes it clear, not cloying. Released after Christmas 2016 with 12% abv. Pair with tangerine, or citrus desserts, or neutral cheese with walnuts.